The time for OTT is now as people want to receive their favorite content online. Icareus OTT solution provides cloud-based end-to-end solution. The time for OTT is now as the amount of internet connected devices have exploded and people want to receive their favorite content online. This market provides TV service providers, content owner, aggregators and other service providers new ways to exploit their existing content, reach their customers even globally and increase revenues from online. Icareus OTT solution can provide even a cloud-based end-to-end solution for service providers building a new OTT service, ie. CloudTV. Either you are a small player wanting to launch an OTT service for some small niche target group or an established large operator wanting to start a new OTT service to reach new customers – we have a right solution for you! 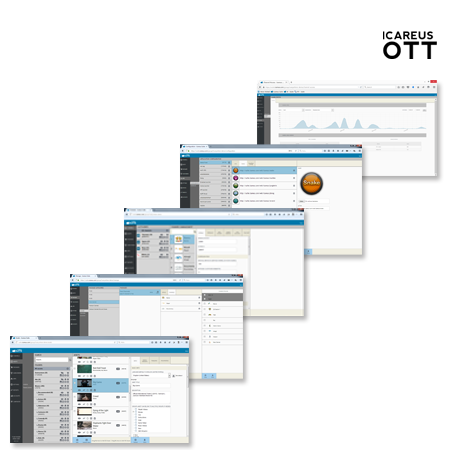 The core of the Icareus OTT solution is the Icareus Suite, which provides highly versatile, modular and flexible platform with high quality user experience. Icareus Suite provides tools e.g for. Monetization opportunities with Icareus OTT solution are versatile. Content packaging supports e.g. TVOD, SVOD, Pay TV channels and advertising revenue in all of its forms including display pre-roll, mid-roll and post-roll videos. 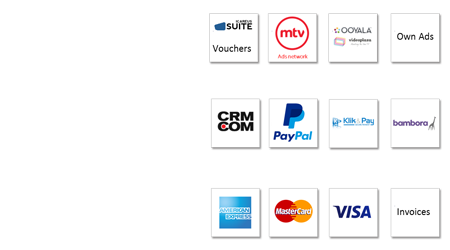 Icareus OTT provides built-in support with Bambora and Klik&Pay credit/debit card payment gateways, PayPal and pre-paid cards / vouchers or we can use integrations with other 3rd party billing systems like PayWizard, 3rd party CRM and invoicing system like CRM.COM or operator’s own BSS or billing system. 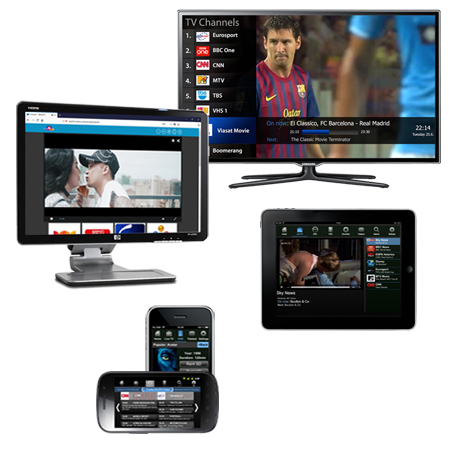 Icareus OTT solution provides off-the-shelf OTT applications to almost on any devices including Android STBs, SmartTVs, desktop environments, tablets and mobile. Feature set is configured to the end-device app based on the service concept and it can include e.g. login, Live TV, Playlist TV, VOD, Package purchases, Catch-upTV, TimeShift, EPG, Favorites, Interactive Apps, DRM support, Social media sharing and multi-language interfaces. With Icareus OTT app templates you can achieve a fast-to-market, positively distinctive and competitive deployment. For those who require that “little extra” we offer our professional services to build custom OTT applications. EPG data: Icareus Playout EPG, Gracenote and Babeleye. DRM: ExpressPlay, MS PlayReady, Marlin, EZDRM etc. 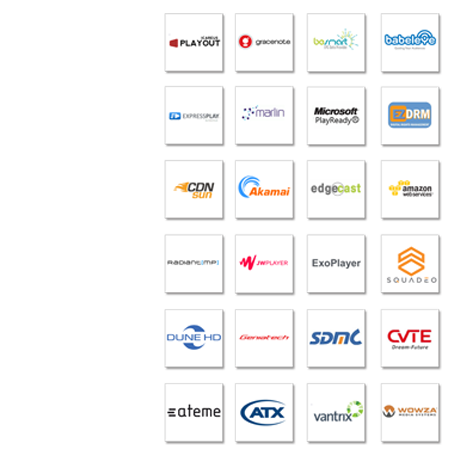 CDN: Level3, Edgecast, Arkena, Akamai and Amazon. Players: Radiant Media Player, JWPlayer, ExoPlayer and Squadeo. STB: Geniatech, SDMC, Dune-HD and CVTE. Video servers: Wowza, Ateme, ATX Networks and Vantrix.